5818 Anne Dr. Wilmington, NC. | Wilmington Real Estate | Alan B. Blake, Jr. Single Family Property Single Family Property This home is in MOVE-IN condition with fresh paint, new carpet, new ceramic tile in the kitchen and baths, and water heater recently replaced. 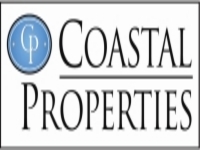 It is convenient to Wrightsville Beach, UNCW, Mayfaire, nice restaurants, and shopping. The yard is landscaped very pretty. Quick closing with good terms available. A MUST SEE. Call Alan at 910-200-4700.